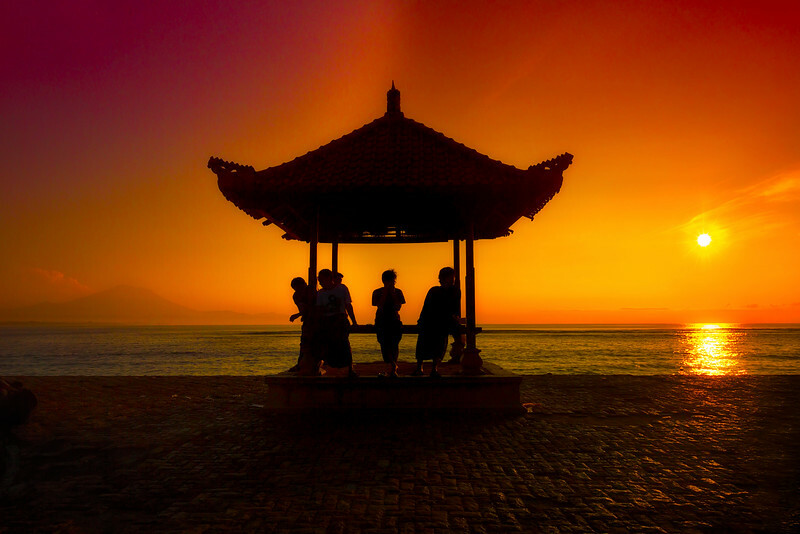 We spent an early morning in Sanur Beach, along the east coast of Bali. There were all these cool boats in the water but this little pavilion looked really awesome with the sun rising behind it. As I set up my tripod, all the dudes under it started to move away. In my best Balinese, I waved my hands frantically and they figured out I meant to stay where they were. After the shot, I found out they all spoke great English.....and were a friendly as could be. 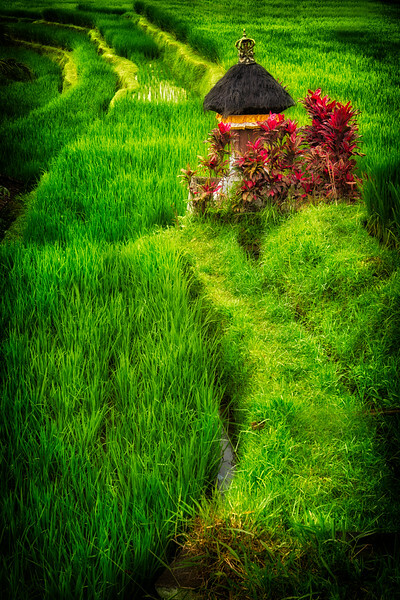 My Infoblox amigos and I were on this really cool cultural tour of Bali back in March…right outside the city of Ubud. The cars had dropped us off and gone about a quarter of a mile up the road to park……not a whole lot of street parking in Bali. I took about 20 minutes and went exploring along this seemingly endless tea field. It was the rainy season…. as I soon found out. Rain in Bali doesn’t seem to last very long, though, so I stuck my camera under my jacket and kept moving….waiting for it to pass. In the middle of this huge green field was this little temple-looking-thing of red flowers. I don’t know what it was but I would bet it had some kind of spiritual significance to the Balinese people. I only had a wide lens so this is a crop from a much larger picture. 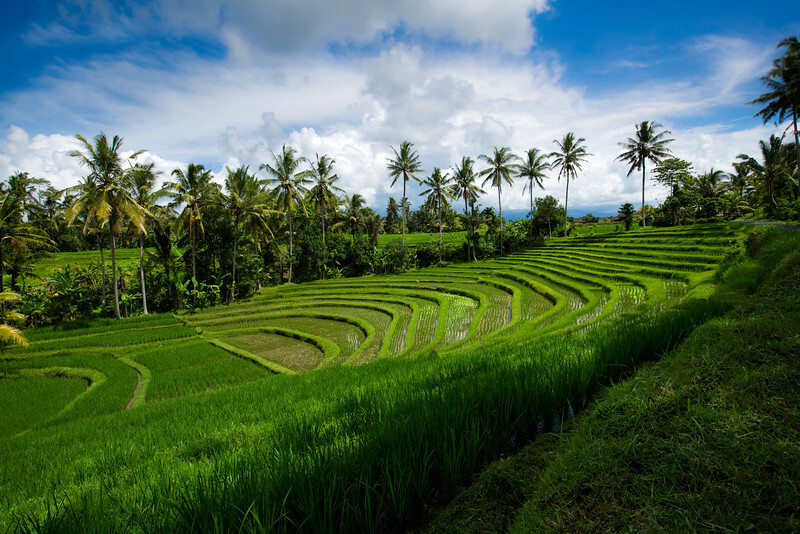 By the way, if anyone is planning a trip to Bali, get in touch with Wan at Stunning Bali Tours http://www.stunningbalitours.com/) Driving in Bali is pretty much impossible for tourists……and Wan took us everywhere. He even got to our hotel at 3am one morning so that we could make the 2 hour journey north to Kintamani before sunrise. Without him, we would have missed half of what we saw. You can reach him on his company website or on Facebook https://www.facebook.com/one.ft.deasy). 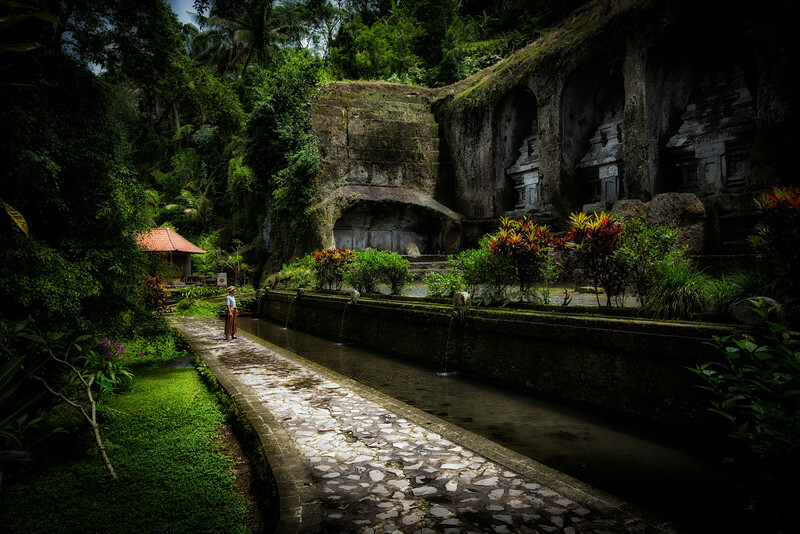 This was a great area of Bali to photograph. 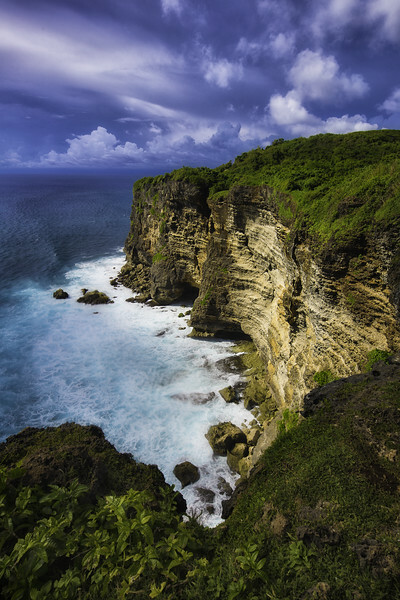 Uluwatu Temple, which is actually behind me, is one of many sea temples that was built in Bali to ward off evil spirits. The area is just beautiful. Just be careful of curious monkeys!! 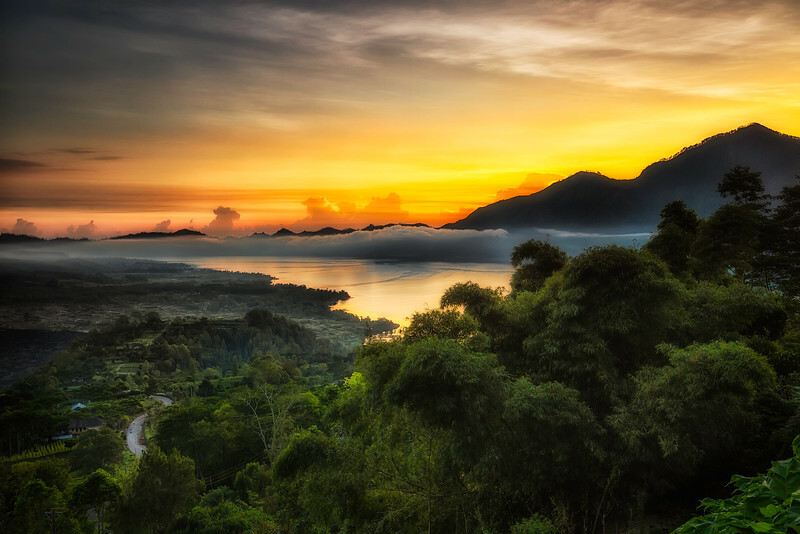 An awesome sunrise at Mount Batur in Bali, Indonesia. 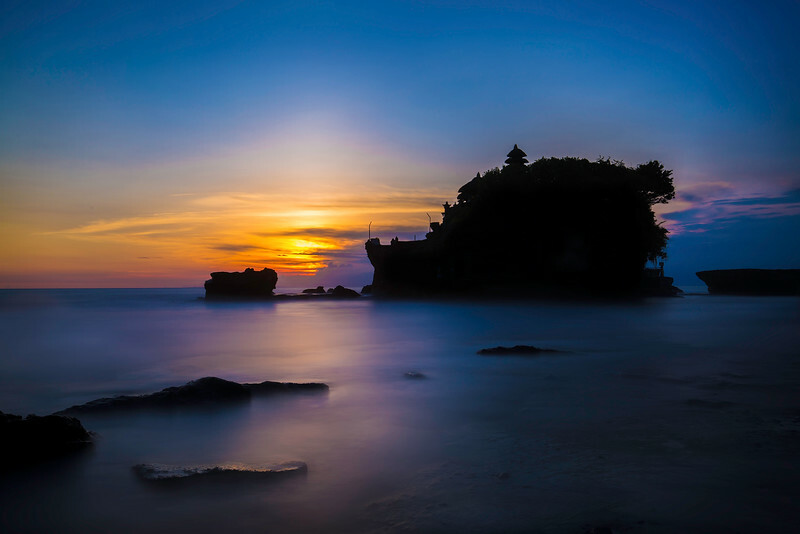 A beautiful sunset behind Tanah Lot Temple on the island of Bali, Indonesia. 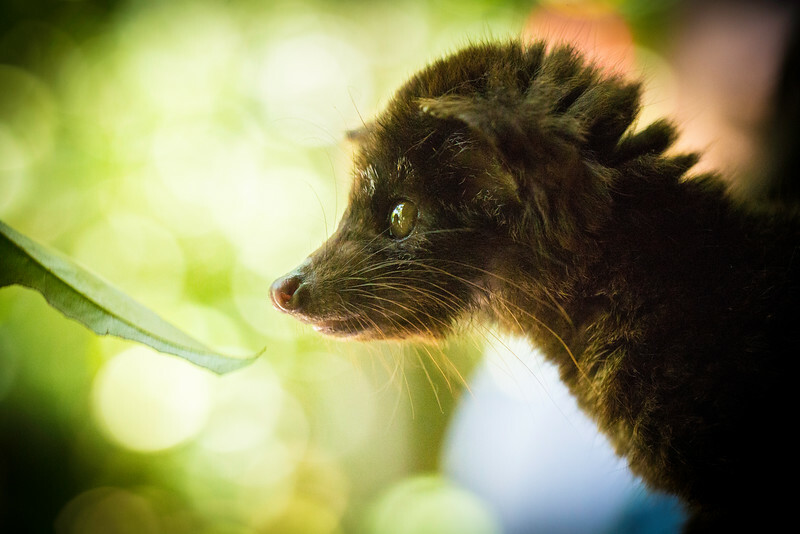 The Asian Palm Civet, better know as the Luwak. You have heard of it.....the cat that eats coffee beans and craps them out. Then some dudes take the poop, pull out the beans....and sell it as REALLY expensive coffee. Well, this is the little fella that does the poopin. This was our last morning in Bali. I had already packed my camera away.for the long journey home (30 hours), but then I saw this scene.....not the gazillion year old temple.....but my brother.....in a sarong. Truth be told, I was actually wearing a sarong too...mine was blue and it looked pretty dang awesome. We got suckered into buying these out on the street, not knowing they came free with the temple admission. 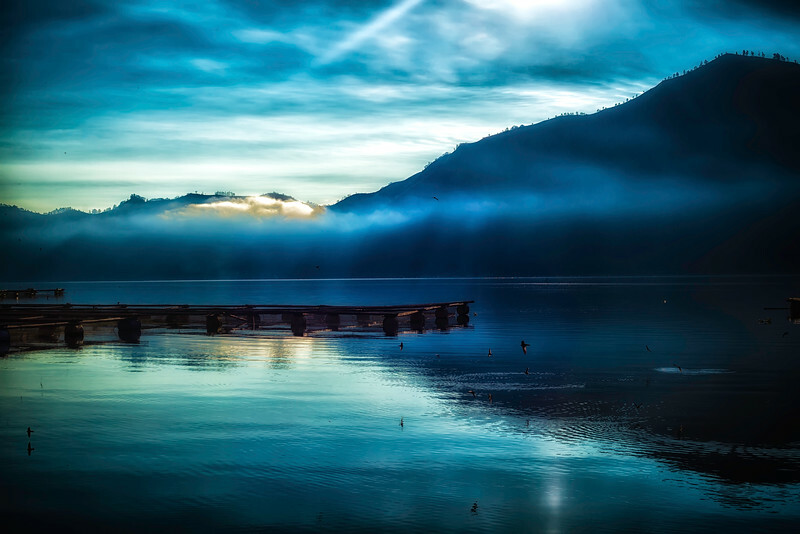 This is Lake Batur on the island of Bali… The mountain that you see in the background is Mount Batur, an active volcano formed essentially by a huge eruption in 1917. 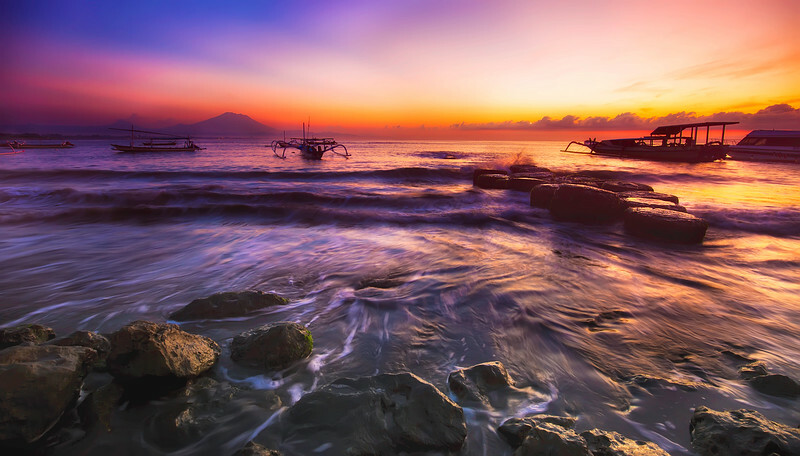 Watching the sunrise here was amazing…..and I am going to have to put in a plug for Wan Andres Cules, operator and owner of Stunning Bali Tours, who woke up at about 3am to get us here in time for it.. 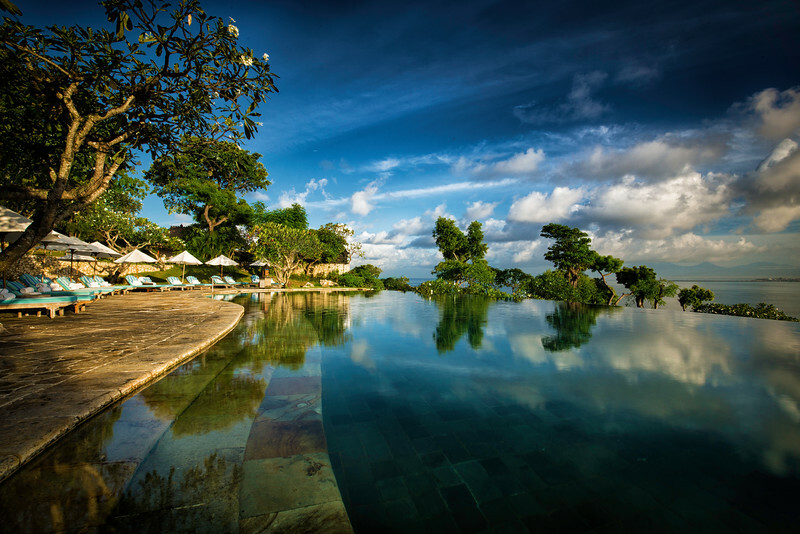 If you are making any plans to visit Bali, get in touch with Wan. He is a great guy, professional, friendly, knowledgable and very accommodating to crazy requests…and it was good having him around when a monkey came and started making eyes at my shiny new lens. 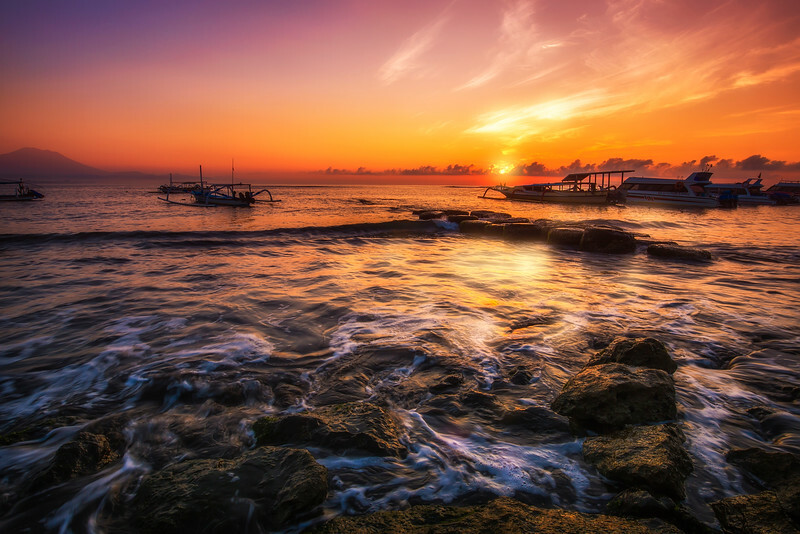 This is Sanur beach in Bali....hard to forget a morning like this. It took a bit of an early wake-up to get here, but the sunrise was completely worth the shortened night of sleep. Just behind me was sort of a paved boardwalk, where local merchants were setting up their tents for the day......selling everything from handmade art to religious items to some pretty amazing local food ....which we had to sample. We even met a couple of local photographers that we still keep in touch with, not to mention our good friend, Wan, who got us here safely and on time for an awesome morning.